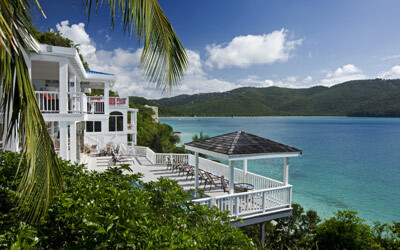 What could be more charming, and romantic, than a honeymoon at a private caribbean beachfront cottage? Located adjacent to the main villa is Little Sand Dollar Cottage. Recently built from the ground up to the highest standards, the cottage provides an additional 2,300 square feet of indoor living space and a huge 1500 square foot deck overlooking the beautiful torquoise bay below. 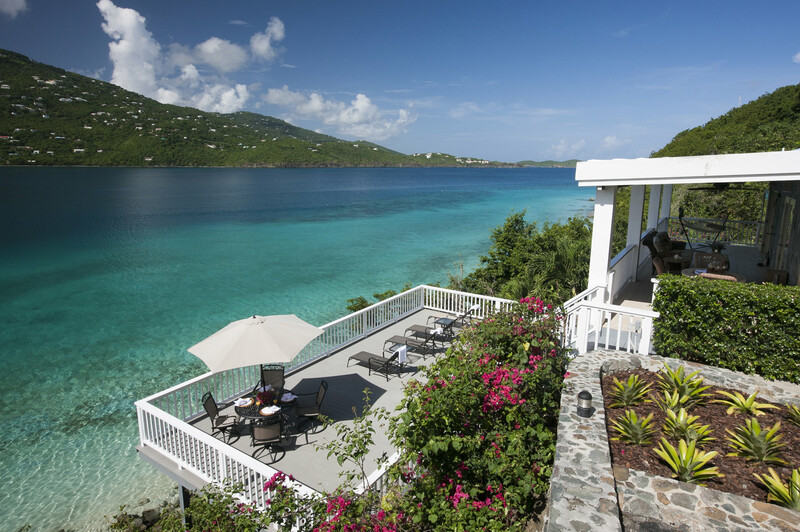 Fully air-conditioned, Little Sand Dollar offers three bedrooms, each with full ensuite baths, a full kitchen, a magnificent Jacuzzi and a private covered balcony overlooking sparkling Magen's Bay. Stairs lead down to another perfect, private white sand beach! This romantic cottage is perfect for the honeymoon couple while the rest of the wedding party have their luxurious accommodation in the main villa. 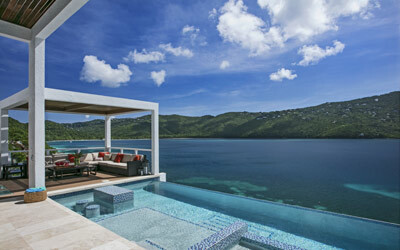 Click here for planning a Caribbean wedding at the villa. Please note that Little Sand Dollar is only available for rental in combination with the Sand Dollar Estate. Little Sand Dollar Cottage is never rented to another group or family, insuring the privacy of the guests of our estate.